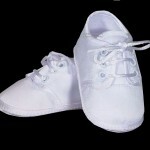 Beautifully constructed boys oxford Christening shoe made of 100% polyester matte satin. 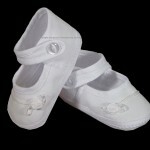 The Celtic Cross embroidery on the sole of this shoe, makes it the perfect accessory for any white Christening Set. 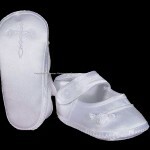 A tiny braid accents the toe. 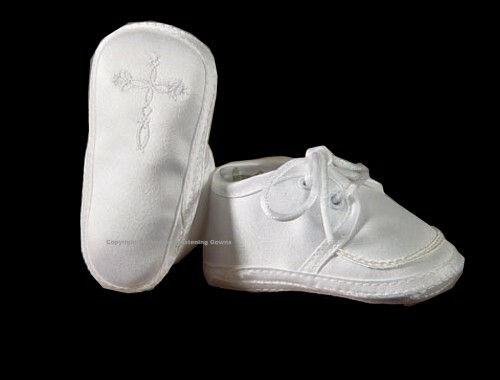 The perfect touch to finish your boys Christening set.